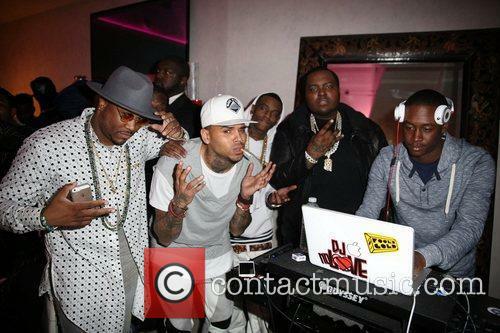 Out on June 2, Chris Brown was partying just days later. 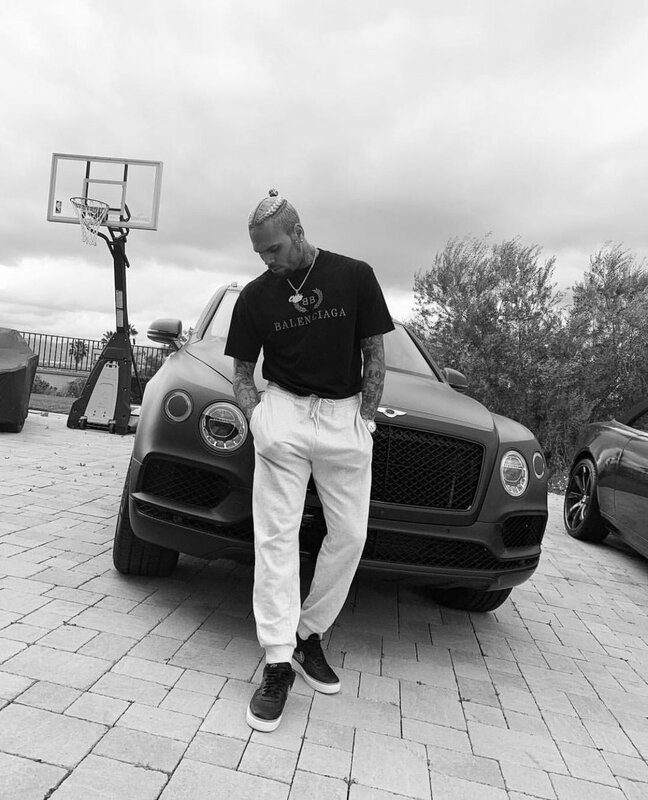 In the world of fallen celebrities this week, Chris Brown is out of jail and his girlfriend Karrueche Tran is chair of the “welcome home” committee. 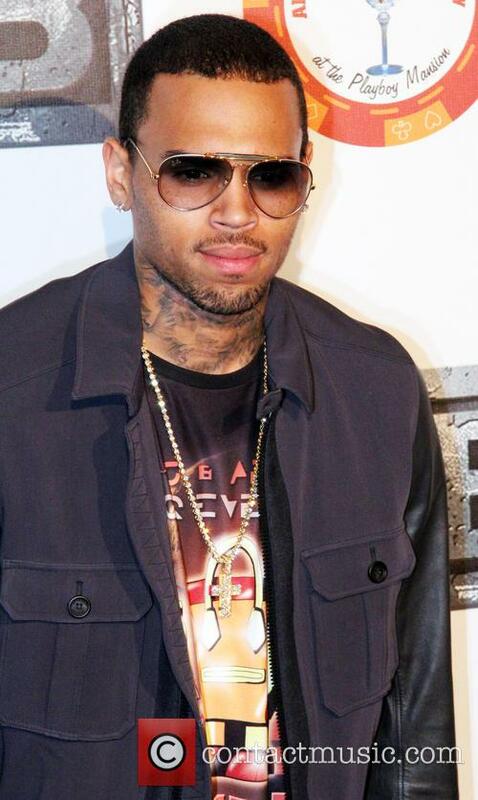 Brown got released after spending 80 days behind bars for violating his probation in the Rihanna case of 2009. Back in October of 2013, he got in an altercation in Washington, for which he got a total of 108 days in correctional facilities, including rehab. Now that Brown is out of jail, will he get back to music? All of that seemed forgotten at Brown’s 2-in-1 homecoming and birthday celebration – he turned 25 on May 5, but a party obviously wasn’t an option at that point. Tran posted several photos from the night, including one snap of herself, giving Brown a kiss – in case we were confused about their relationship maybe. 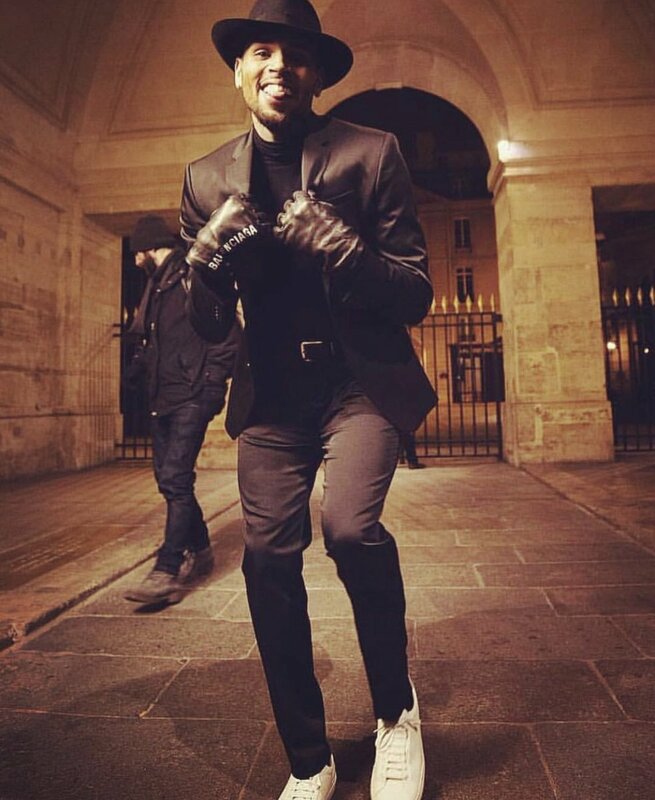 Chris Brown Released From Prison Early, Tweets: "Thank You GOD"
After being behind bars since March, the 25 year-old singer is a free man and now he plans to go "back to the music and the fans." Chris Brown is finally a free man. After nearly four months behind bars, the 25 year-old singer was released from a Los Angeles County Jail on Monday (June 2nd). Brown did not have to complete his one year sentence for violating his probation that is connected with a 2009 assault case against ex-girlfriend Rihanna. Continue reading: Chris Brown Released From Prison Early, Tweets: "Thank You GOD"
The trail of Chris Brown begins today as his bodyguard is given a guilty verdict. 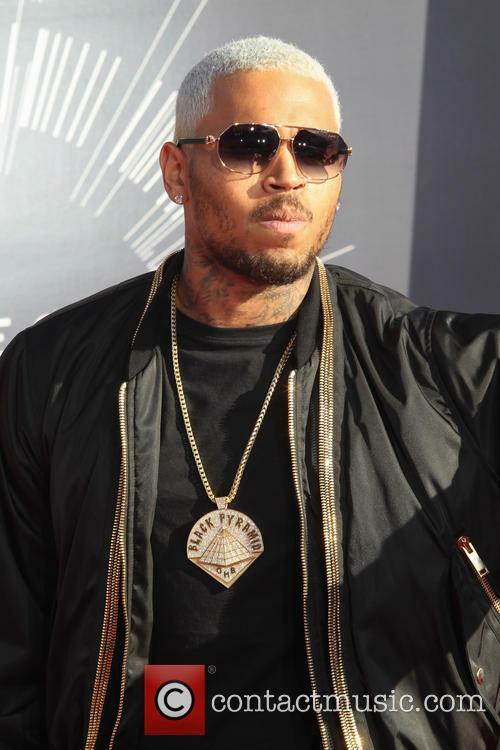 Rapper Chris Brown’s trial began in Washington D.C. this week, after his bodyguard Chris Hollosy had just been found guilty of misdemeanour assault charges related to the same incident. Brown has been awaiting trail on misdemeanour assault charges which stem from a 2013 altercation with a fan outside a Washington DC hotel. It is alleged that the 24 year old stuck the fan, named Parker Adams, on a sidewalk where he had been posing for pictures. The 24 year-old singer rang his on-off girlfriend to forward a message of thanks to his fans after he was sent to jail for being kicked out of rehab last month. Chris Brown seems to be doing a lot of thinking as he is behind bars for the third straight week. 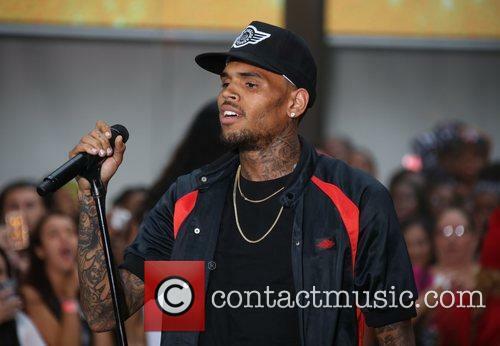 The 24 year-old singer wanted to reach out to his devoted fans, known as 'Team Breezy,' to thank them for their support. And he found a way to do it! 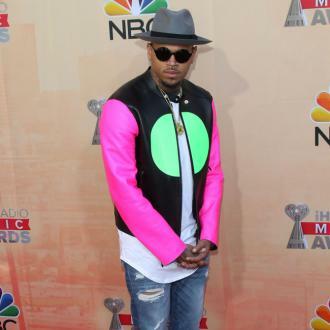 Things are looking up for Chris Brown, more or less. Oh, Chris Brown. Breezy has been diagnosed with a mental disorder, which means we should all go easy on him for any odd and out of touch behavior. This one isn’t about his behavior though. Last week, when Brown was sentenced to a month in jail, after he was thrown out of rehab, it seemed like his goose was well and truly cooked. Those high-paid lawyers are a miracle in a tight spot, however, and Brown’s attorney apparently managed to make a deal. 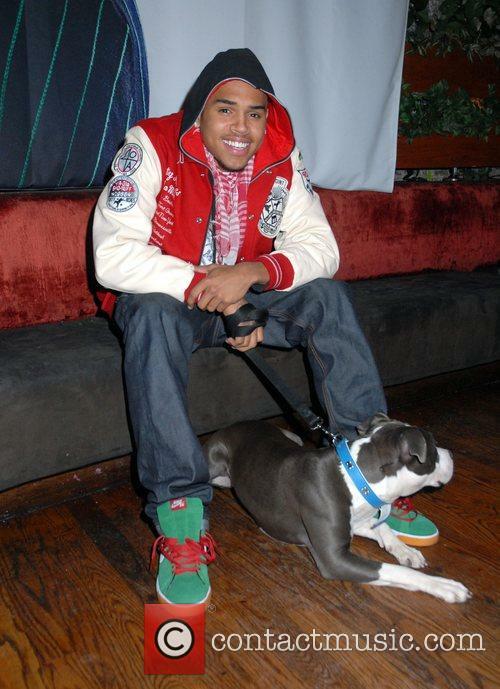 Breezy isn't going through the best time in his life, but this is one thing he won't have to worry about soon. 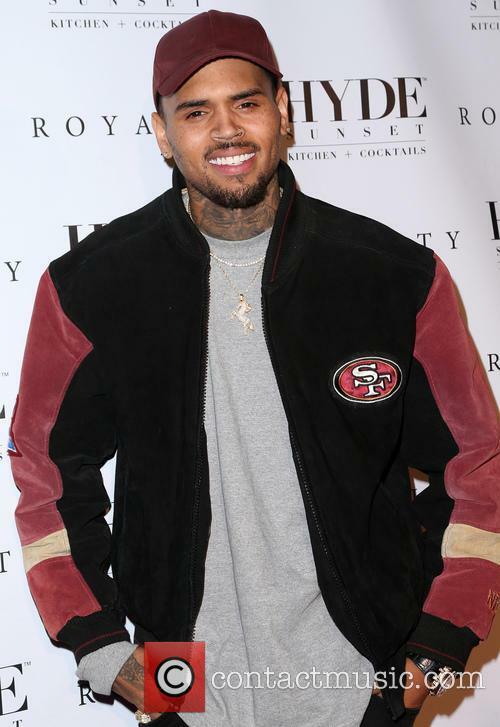 According to TMZ, Breezy’s lawyer, Mark Geragos, has found the lawyer for the man, who claims to have had his nose broken by Brown in D.C. and offered him a large amount of settlement money. Brown has been jailed for a month before his next hearing. Reporting on Chris Brown’s behavior is becoming redundant at this point, if not just plain wrong – it’s no secret mental illness and life in the public eye don’t really make the best combination. The singer’s bizarre behavior in court on Monday proved that beyond any doubt. The troubling account of Brown's behavior in rehab led to the judge extending his jail time. 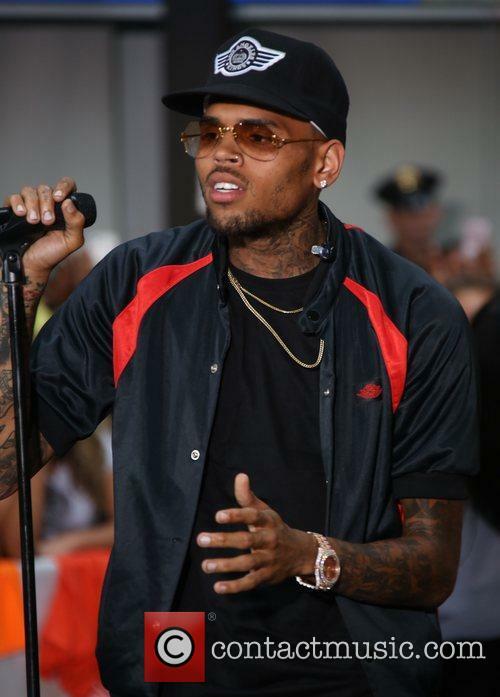 Representatives of Brown’s former rehab facility, which refused to continue treating the star last week, were present and cited some of the singer’s most shocking moments as reasons for the decision, according to TMZ. The singer is still struggling to find the help he need. Brown just can't seem to keep it together these days. The R&B star, who is currently in rehab for anger management, was arrested for reportedly getting kicked out of the facility. 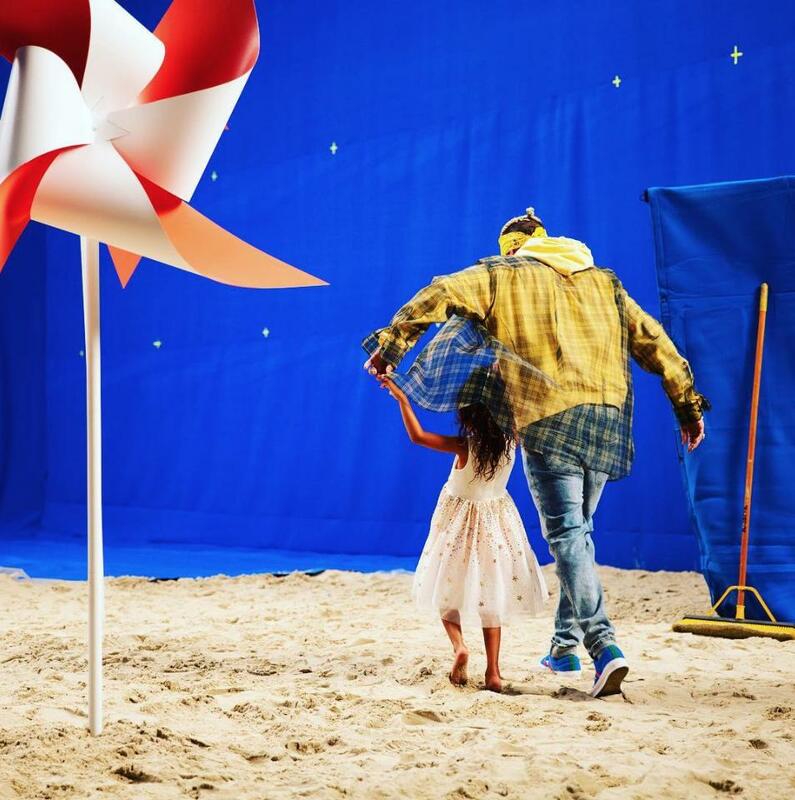 Chris Brown is spending another weekend in a familiar place for him...jail. The 25 year-old was arrested Friday (March 14th) for allegedly violating his parole that stems from a 2009 assault charge, where he beat up his then-girlfriend Rihanna. Brown has been a resident in a Malibu rehabilitation facility for the past four months, but after being kicked out, local police arrested him and took him to Inmate Reception Center at the L.A. County Jail, TMZ reports. 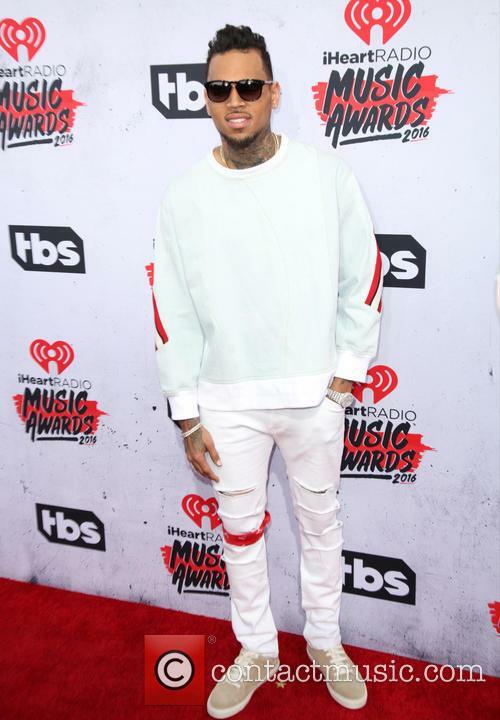 Chris Brown will complete his stint in a rehabilitation center despite prosecutors' requests to throw the singer in jail immediately. 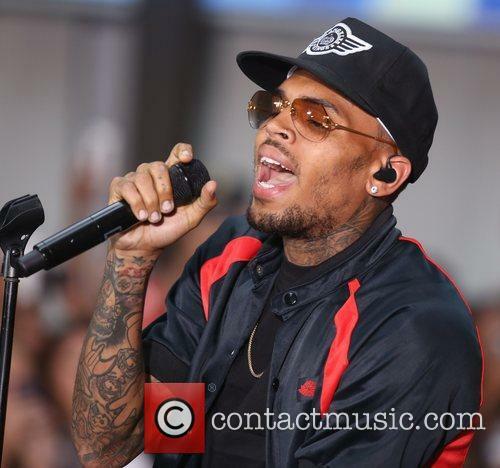 Chris Brown has avoided jail once again after an LA Judge ordered the singer to undergo more treatment at a rehabilitation center. On Monday (Feb 3rd), the judge turned down prosecutors' desire to throw the 24 year-old in jail due to his arrest for assault from last October (2013) in Washington D.C.
TMZ reports, prosecutors claimed "Brown's violent behavior continues to increase in severity and frequency" and he presents "an increasing danger to society." 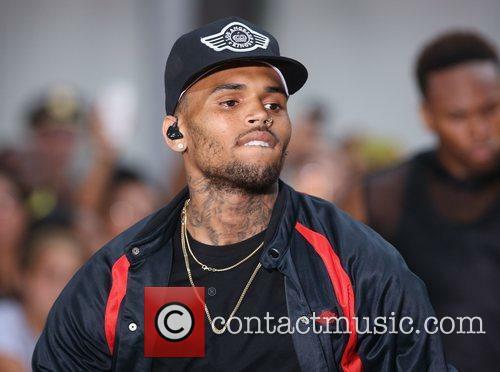 Has Chris Brown Taken A Gamble By Rejecting Plea Deal On Assault Allegations? 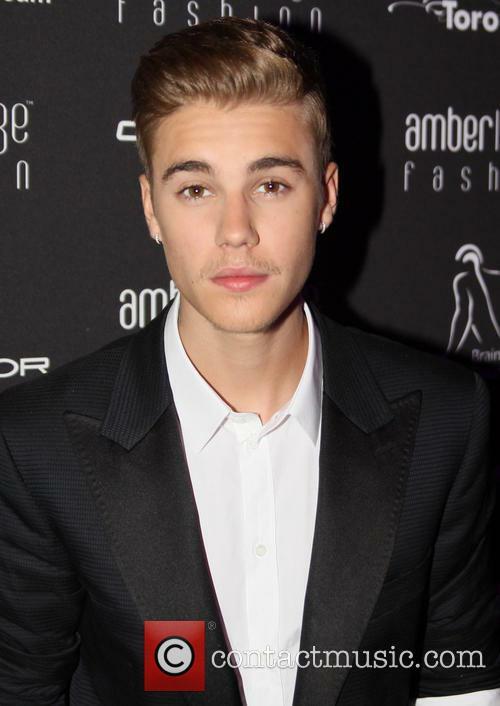 The singer was offered a plea deal to reduce misdemeanour charges but rejected it. 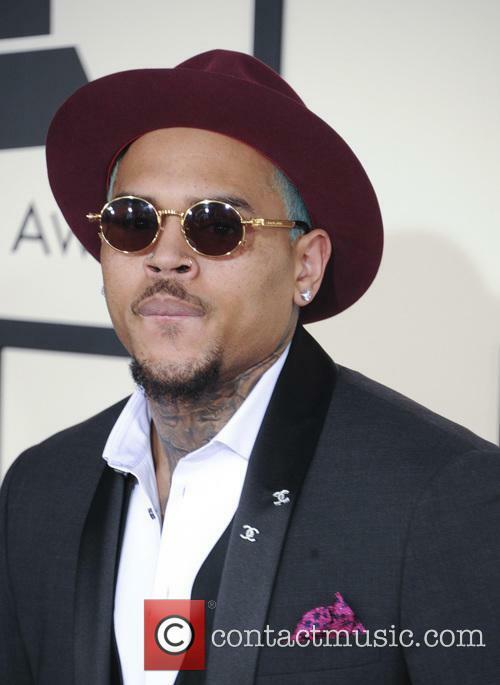 Chris Brown told a judge on Wednesday that he rejects a plea deal on a charge involving the allegation that the singer hit a man outside a hotel in Washington D.C. His bodyguard, Christopher Hollosy, also faces the same charge. 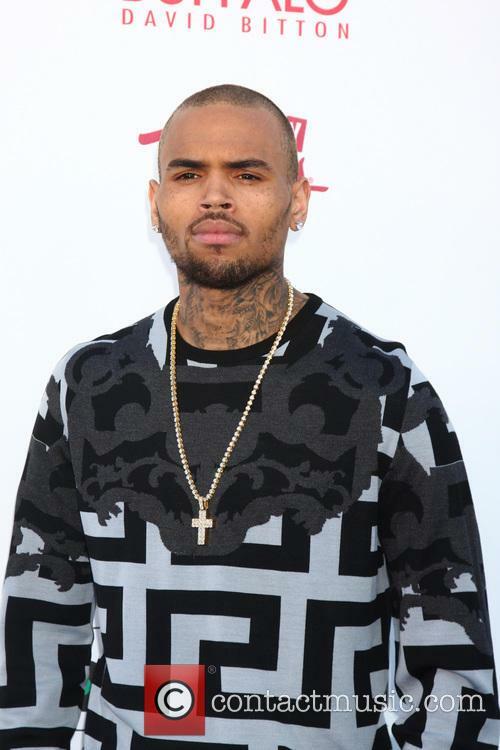 Chris Brown Has Rejected A Plea Deal In A Case That Involves Alleged Assault. Prosecutors reportedly offered a deal in which Brown would receive a reduced sentence if he pleaded guilty to the misdemeanour assault charge he faces. Brown maintains that he is not guilty and therefore rejected the deal, according to one of his lawyers, Danny Onorato, via Billboard. 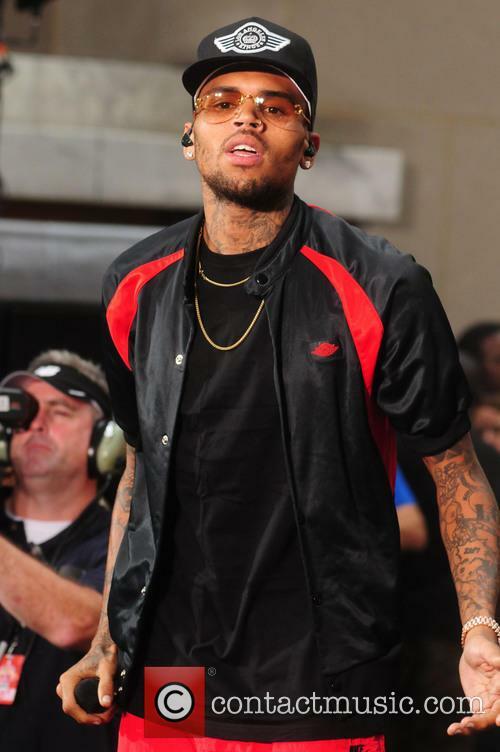 Continue reading: Has Chris Brown Taken A Gamble By Rejecting Plea Deal On Assault Allegations? Chris Brown walked away from court on Wednesday, 8 January, after a hearing for his assault charge in Washington, D.C., pleading not guilty to the charge of simple assault. 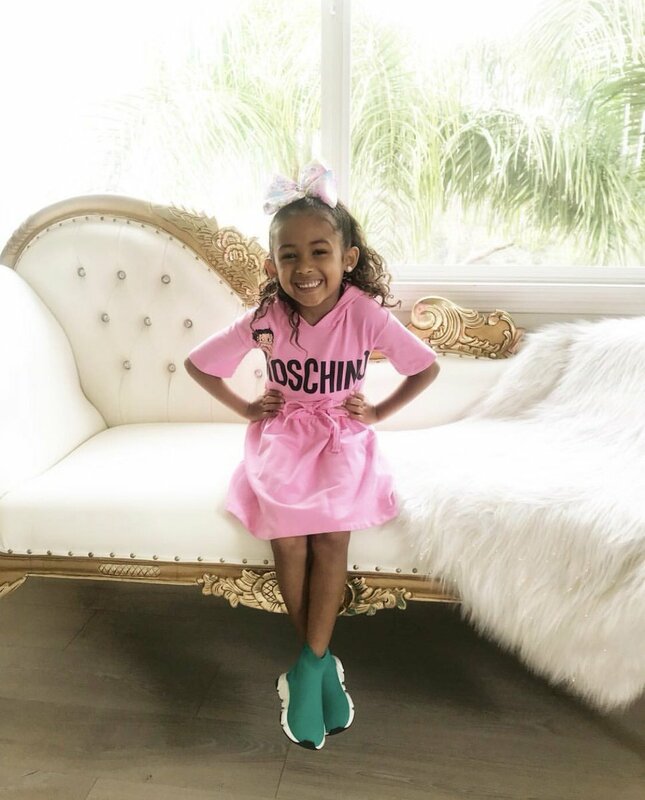 The controversy-courting singer was joined in the courtroom by his girlfriend Karreuche Tran, there for moral support, and his bodyguard Chris Hollosy, who is also being prosecuted in the same case. Both Chris and his bodyguard rejected a plea deal presented before them, after both were accused of assaulting a man outside of a D.C. hotel back in October last year. 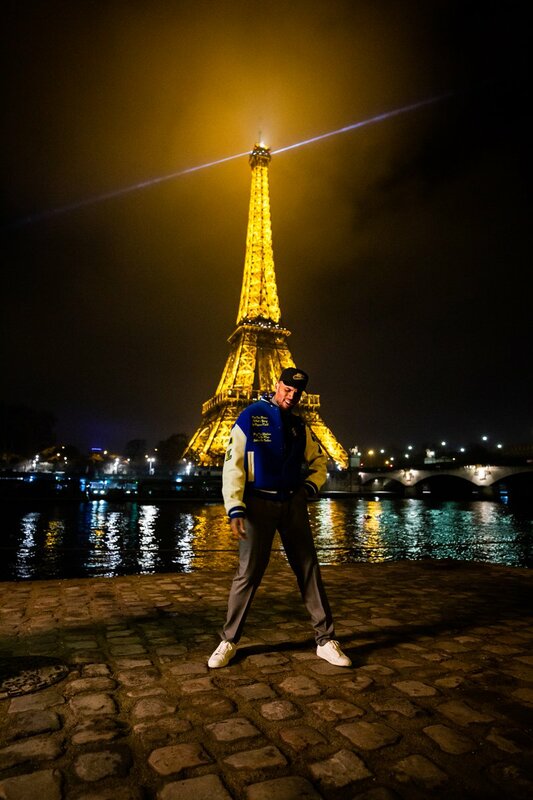 The incident allegedly occurred after the alleged assault victim photobombed a picture the singer was trying to take with two female fans, however the singer claims that the defendant tried to force his way on to his tour bus, along with the two women who were also trying to force their way on to the bus. Chris Brown and his bodyguard reject plea deal for the Washington D.C assault case after his lawyers reiterate that the R&B singer is not guilty. 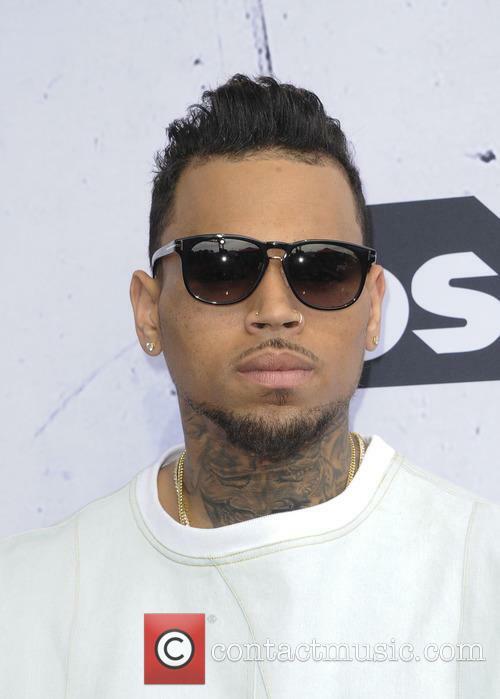 Singer Chris Brown had his bodyguard, Christopher Hollosy, have reportedly rejected a plea deal in the assault case from last October (2013) in Washington D.C. The 24 year-old appeared in court in the same city as the incident was in, with his entourage of lawyers and girlfriend Karreuche Tran. The deal would have seen Brown and his body guard found guilty of a simple assault charge for allegedly striking a male fan. 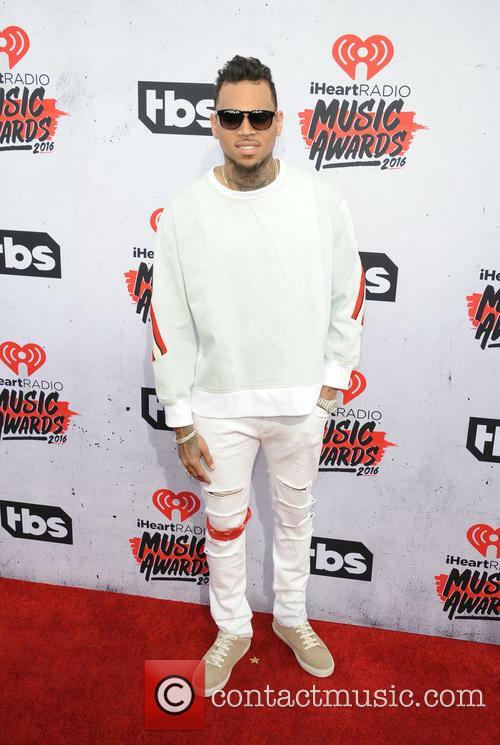 Chris Brown is still serving his once self-imposed time in rehab to control his anger issues and he is doing so with increased scrutiny from the Los Angeles parole board, who are monitoring his every action as he continues to evade incarceration for continued parole violation. This weekend, Brown was granted some time away from the rehab facility, but was placed under strict surveillance by his parole. Against character, Brown managed to behave on his day-long outing, but his surroundings couldn't have made it any easier for Brown to act like a decent human being. 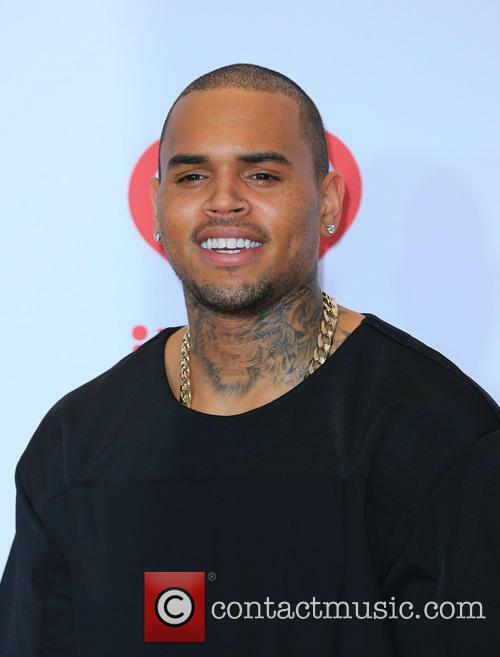 Chris Brown had his probation revoked by an LA judge after deeming the R&B singer didn't obey all the laws when he was arrested for assault in Washington D.C.
Chris Brown just seems to be having a hard time with staying out of trouble. 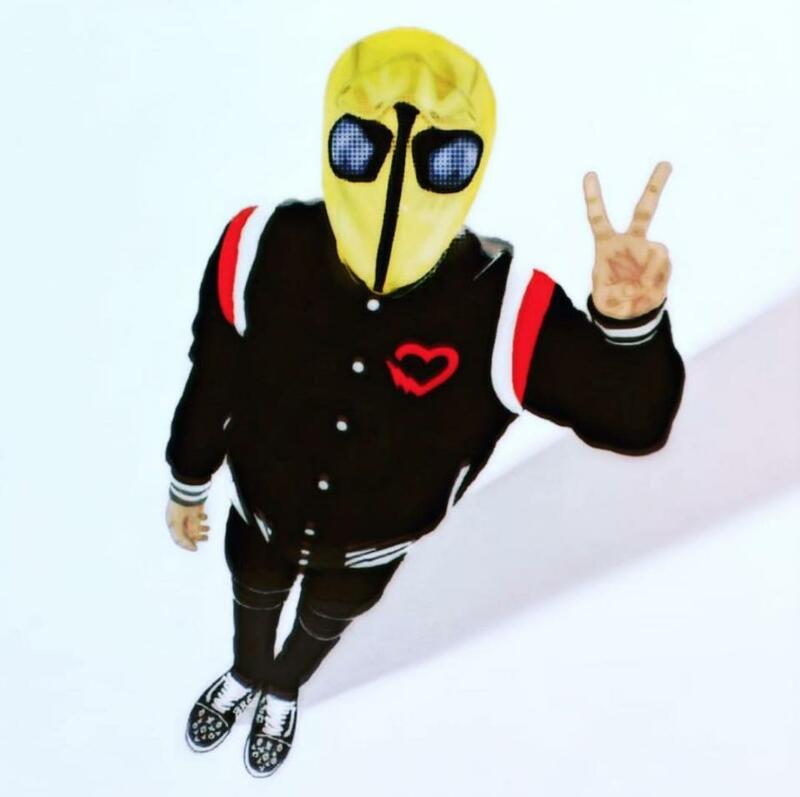 The 24 year-olds probation was revoked by a judge on Monday (Dec 15th) following his arrest in Washington D.C. this past October for alleged assault on male fan. What does this mean for the 'Don't Wake Me Up Singer'? 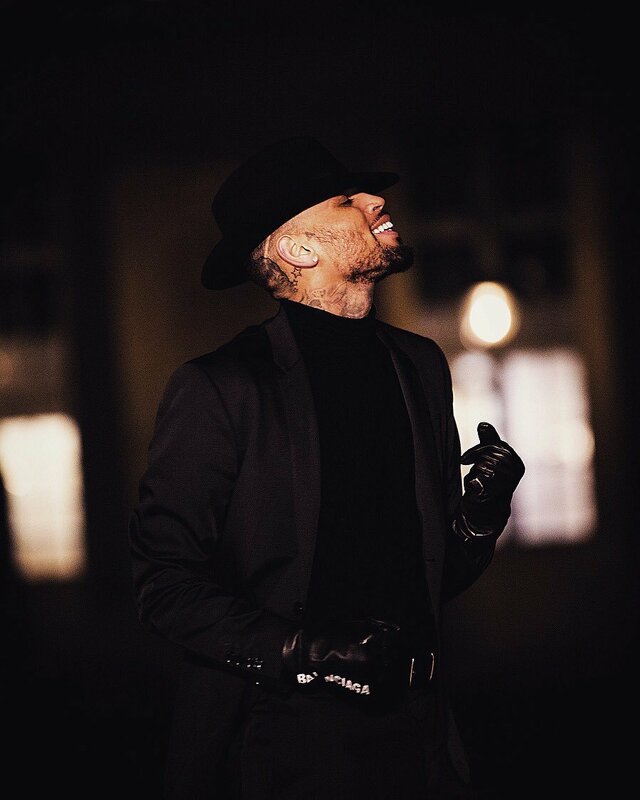 Chris Brown has been given permission to miss a DC court appearance, for a misdemeanour assault case, to continue receiving treatment in a rehabilitation facility for manger management. Chris Brown will not have to appear in a Washington DC court this coming Monday (Nov 25th) as previously scheduled. Judge Robert S. Tignor granted the 24 year-old permission not to make the travel across country after Brown's attorney submitted a petition to excuse him from the journey. TMZ reports, Brown asked the judge, in his assault case, to let him skip the court date in order for him to stay in a rehabilitation facility for anger management issues. 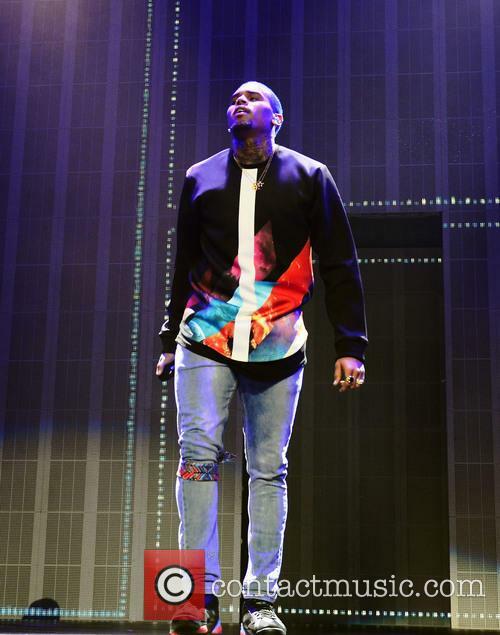 Chris Brown has been sentenced to 90 days in a rehab facility and periodic drug testing. 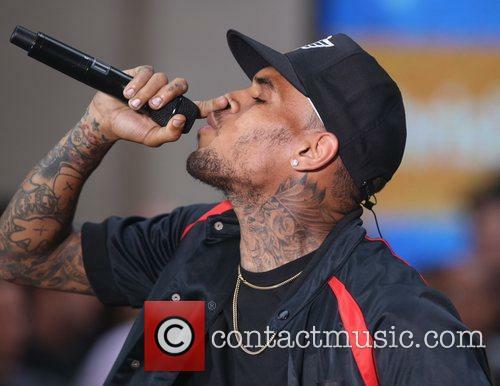 Chris Brown appeared in court in Los Angeles on Wednesday (20th November) and was ordered to a 90 day residential stint in rehab and periodic drug testing. In addition he should continue with 24 hours of community service each week. The hours of community service remain from his assault of his then girlfriend Rihanna in 2009. Chris Brown has been sentenced to 90 days in rehab. Brown was first arrested on October 29th in Washington DC, accused of breaking a man's nose. 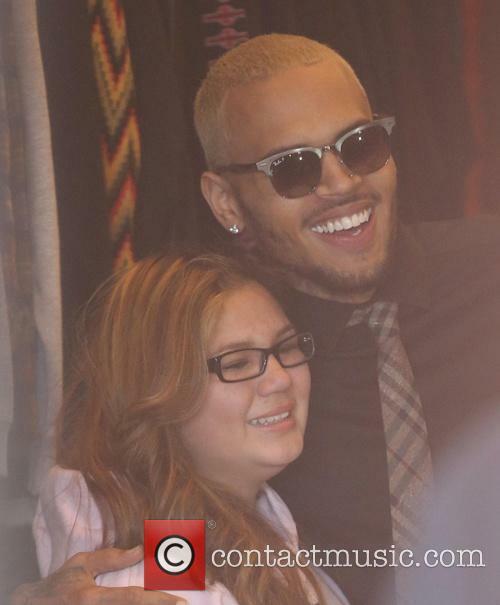 His alleged victim, Isaac Parker, attempted to jump into a photograph a fan was taking of Brown. Brown, reportedly, assaulted Parker leaving him with facial injuries which needed hospital treatment. Brown then voluntarily checked himself into the rehab facility. It take an especially angry kind of guy to get kicked out of a rehab centre whose sole purpose is dealing with anger management issues, but that's exactly what happened to Chris Brown earlier this month. As his first stint in anger management clearly didn't work, the Los Angeles Probation Department have come up with a novel way of making him pay for his latest violent rage: by sending him back into anger management. According to TMZ, who broke the story, Brown was kicked out of the Malibu-based rehab centre after only two weeks after he allegedly flew into a violent rage whilst at the centre, with stuff getting thrown and rants being had. With Brown only in rehab as a sort of pleas bargain with the Probation Dept, when it was revealed that he was kicked out of the rehab facility it looked as though Brown had finally hit the end of the road and would at last end up in jail. This wasn't the case however, as Chris continues to avoid jail. 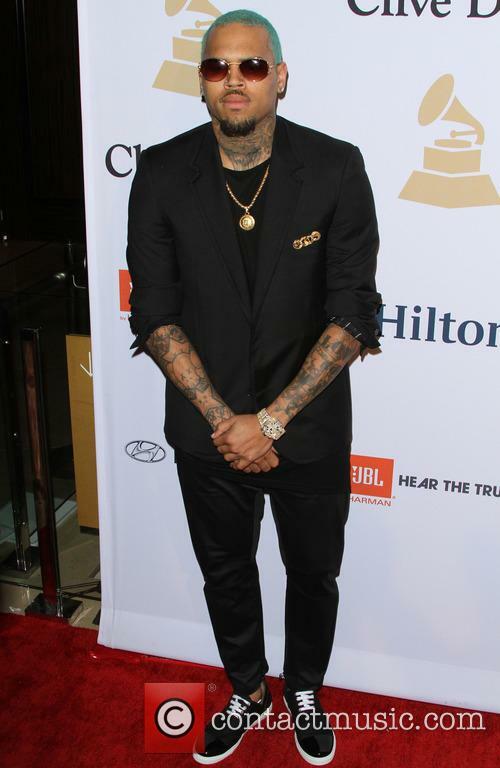 Chris Brown finds himself in more hot water with the law as an LA judge sends him back to rehab for 3 months. 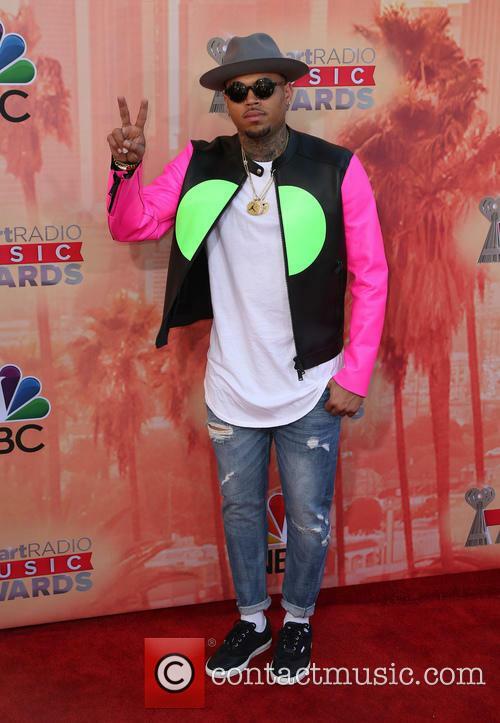 Chris Brown was supposedly finally getting his issues straightened out, but that does not seem to be the case. The singer entered a rehabilitation facility in Malibu "to gain focus and insight into his past and recent behaviour," on October 29th. However the two weeks' worth of treatment he received didn't resolve anything. Chris Brown has left a rehabilitation centre but is "continuing his rehab program as an outpatient" while completing his community service. 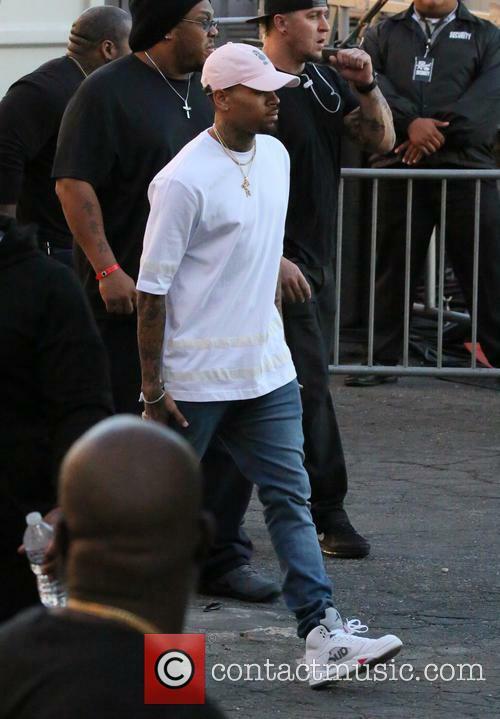 Chris Brown has finally left a rehabilitation facility. The 24 year-old checked out on Thursday (Nov 14th) after receiving two weeks' worth of treatment and he will now begin his community service. 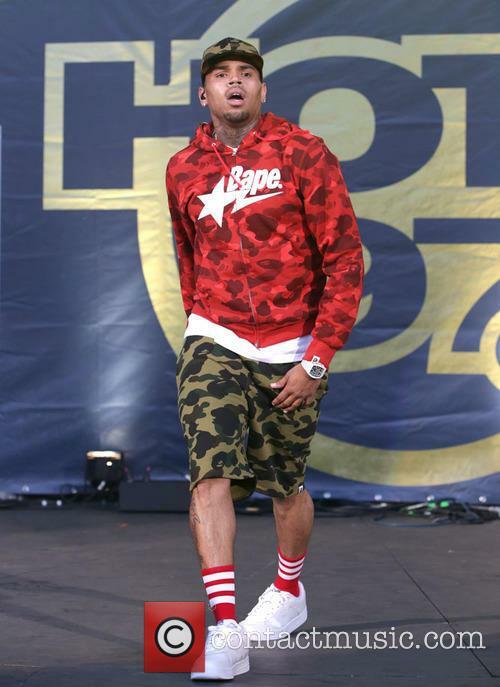 After just over 2 weeks of rehab for anger issues, Chris Brown signs out to finish his community service. Chris Brown's alleged 3-month stay in rehab has been dropped to just 16 days after he was forced to leave to complete his community service hours for another offence. 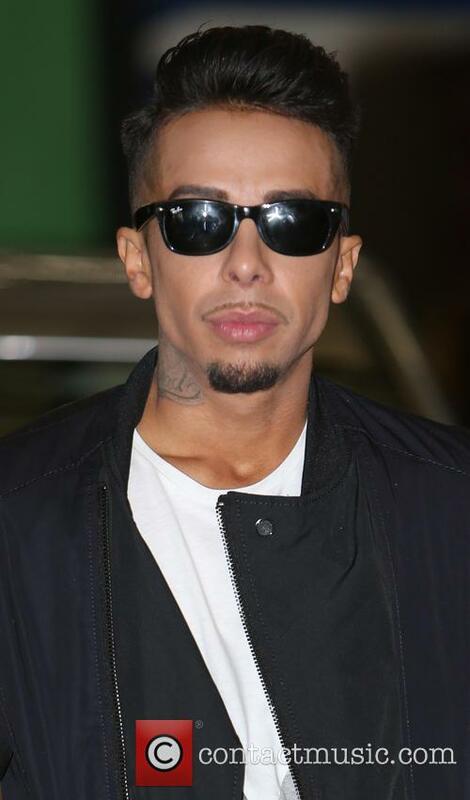 The 'Don't Wake Me Up' singer must be having a hard time keeping up with all his legal issues - especially when they find themselves overlapping. After a recent case whereby Brown was charged with misdemeanour assault after a fight outside his Washington DC hotel in October, he signed himself up for a stay in a luxury Malibu rehabilitation clinic to help overcome his anger problems. However, after just 16 days, he was forced to pull out to continue his community service which stemmed from his 2009 conviction for violence against his girlfriend Rihanna. Chris Brown was back in the news earlier this week, getting into trouble with the police for supposedly assaulting a man on the street near where his tour bus was parked. Brown inevitably avoided legal action when he faced a judge in Washington D.C. (where the attack took place), however he might not be so lucky when the latest run in with the law is taken into consideration by the Los Angeles Probation Office. In what many have seen as an unofficial plea bargain with his probation officers, as soon as Brown arrived back in California following his magistrates court hearing on Monday (28 Oct.) in D.C., Brown immediately visited the patrol board, before he checked himself into a rehabilitation facility in Malibu to control his anger issues. We're not sure at this moment whether this was at the request of law enforcement or whether it was a move by Brown or one of his management team to possibly avoid future jail time. 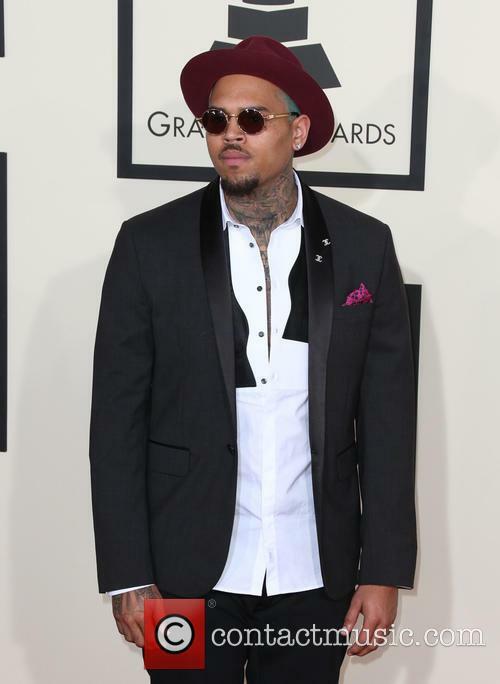 Brown is still under probation for his assault on then-girlfriend Rihanna prior to the Grammys in 2009. Having offended since then and avoided jail time each time, his latest run in with the law may be the final straw. Should Brown be found guilty of breaking the terms of his probation, he faces a potential spell of 4 years behind bars. Brown was released after just one night spent in jail. 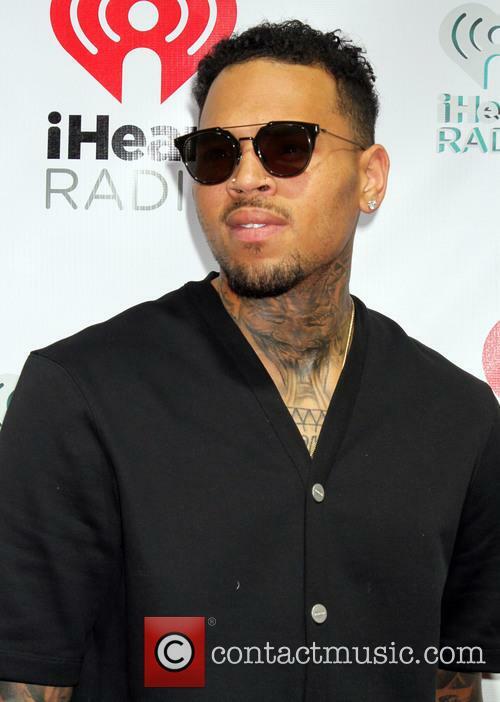 Chris Brown has been released from jail after a man claimed that he had been punched by the R&B singer in Washington D.C. The singer is on five years' probation for attacking his ex-girlfriend, singer Rihanna, in 2009 but spent a night in police custody as a result of his alleged latest violent outburst. Chris Brown Has Been Released From Jail After A Man Accused Him Of Assault. Upon his release from police custody, Brown is said to be planning on starting a stint in rehab to work through his anger issues with a professional, according to his representative in a statement reported by BBC Radio 1's Newsbeat. His rep said that rehab would help the singer "continue the pursuit of his life and his career from a healthier vantage point" and would help him to "gain focus and insight into his past and recent behaviour." 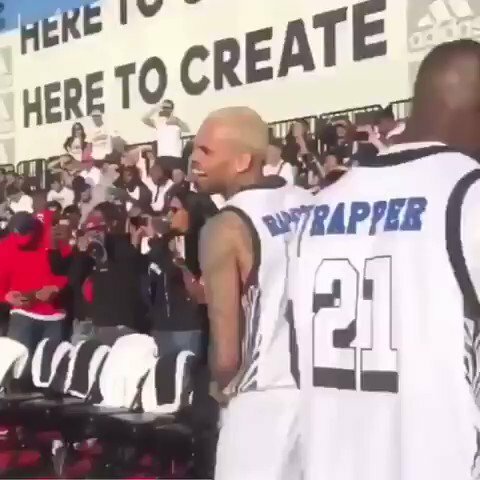 Chris Brown escaped prison once again with his latest run-in with the law this wekend, where he faced assault charges after allegedly punching a man in the face. Escaping with only a misdemeanour charge and no fine, thanks in part to the conflicting stories given by the defendant and accuser, Brown has at least admitted to some fault by deciding to admit himself into a rehab clinic in order to address his anger management issues. As reported by TMZ, Brown checked himself into a rehab facility in Malibu, presumably to deal with his red hot temper and also in a potential bid to evade any future prison sentence. 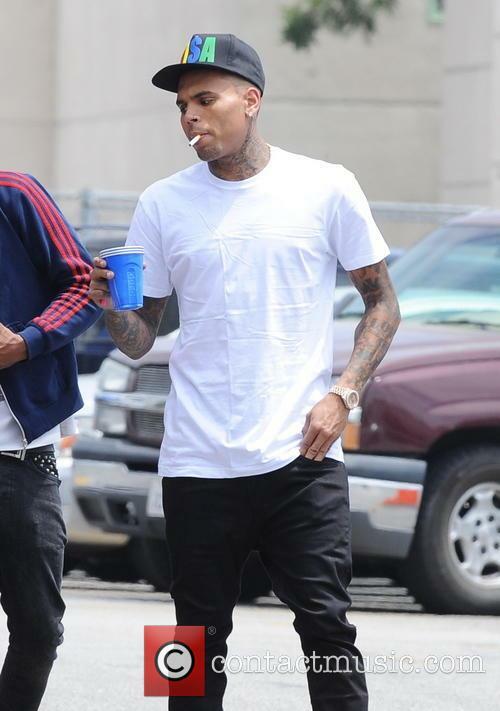 According to the report, Brown was dropped off at the rehab centre by his manager Mark Geragos, just hours after it emerged that the Los Angeles County Probation Department are planning on launching a full investigation into his assault in Washington D.C. to determine whether it violates his probation. 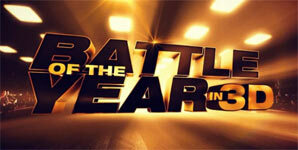 The Grammy-winning R&B singer is still under probation for his 2009 attack on then girlfriend Rihanna. 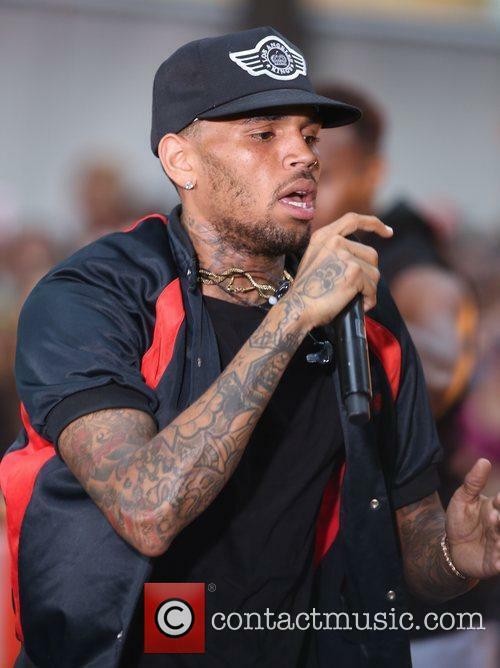 Chris Brown violated his probation once again this weekend when he allegedly punched a man who disrupted a photo he was posing for with two female fans. 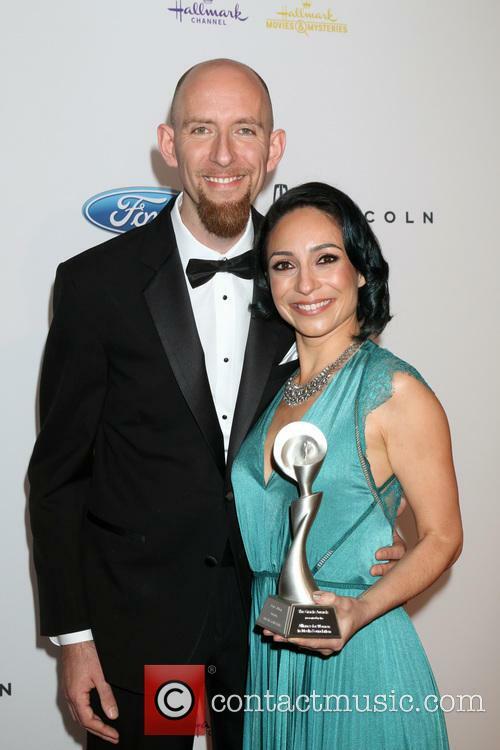 The Grammy-winner faced a judge in a Washington D.C. magistrates court early on Monday, 28 October, morning to plead his case and was at one point staring at a felony assault charge. Unsurprisingly, he was let off the hook, not for the first time. 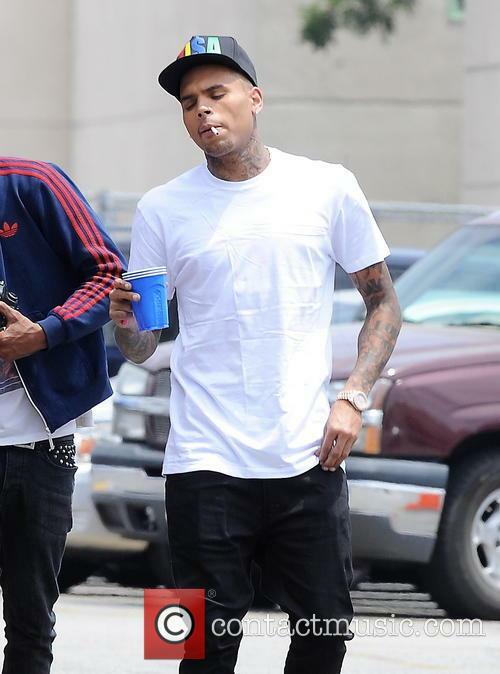 This is the latest legal run-in that Brown has had since he beat Rihanna before the 2009 Grammy Awards, an offence he is still on probation for, and after two violent run-ins and a hit and run incident, Chris is still free to walk the streets like an upstanding citizen. Seriously though, what does he have to do to face jail time? Brown is slowly becoming the new OJ Simpson and its starting to get a little ridiculous. The trouble-seeking singer was arrested early Sunday morning following an apparently unprovoked attack. 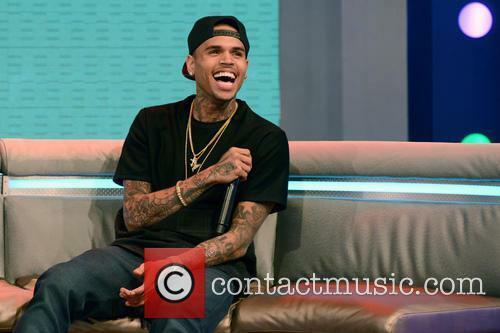 Believe it or not, but Chris Brown is in trouble with the police! Outrageous isn't it! Of course, this really shouldn't come as a shock to anyone given the singer's insistence of seeking out trouble and getting himself involved in it, usually by violent means. This time, Brown allegedly threw a punch at someone outside his hotel in Washington D.C. in what is being claim as an unprovoked attack. 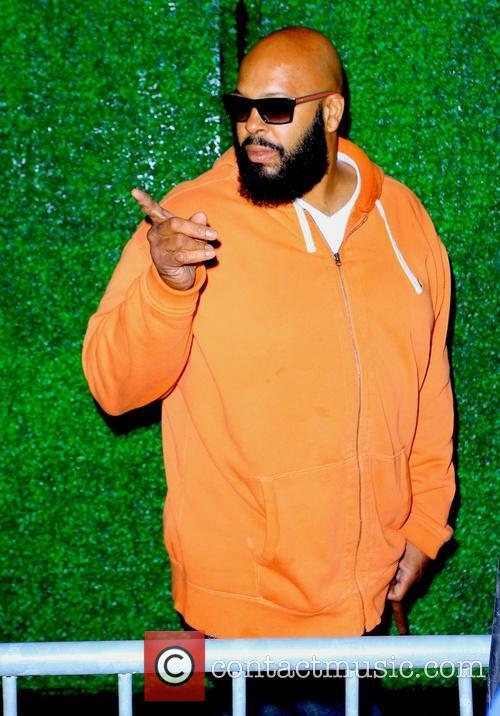 As initially reported by TMZ, Brown got into a heated argument around 4.30 am on Sunday, 27 October, outside his hotel - the W Hotel on K Street - and ended up throwing punches at an unnamed man. According to the person who was on the receiving end of Brown's fists, the singer was posing for a photo with two women, when he and his friend, who were hanging out at the hotel, decided to photobomb the picture. Guess Who Got Arrested Again? 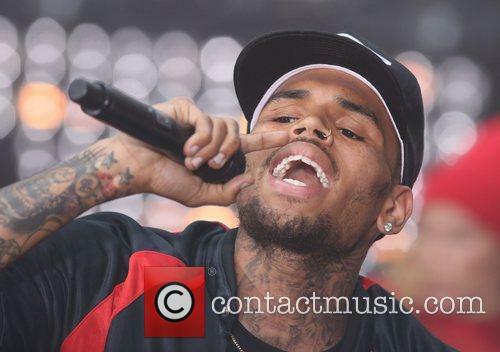 That's Right, It's Chris Brown! 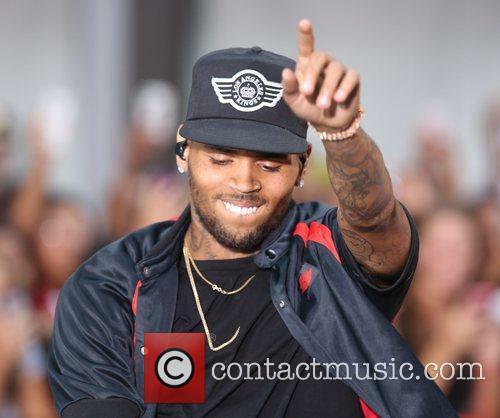 Chris Brown was arrested for felony assault in Washington D.C. on Sunday, 27 October, morning. 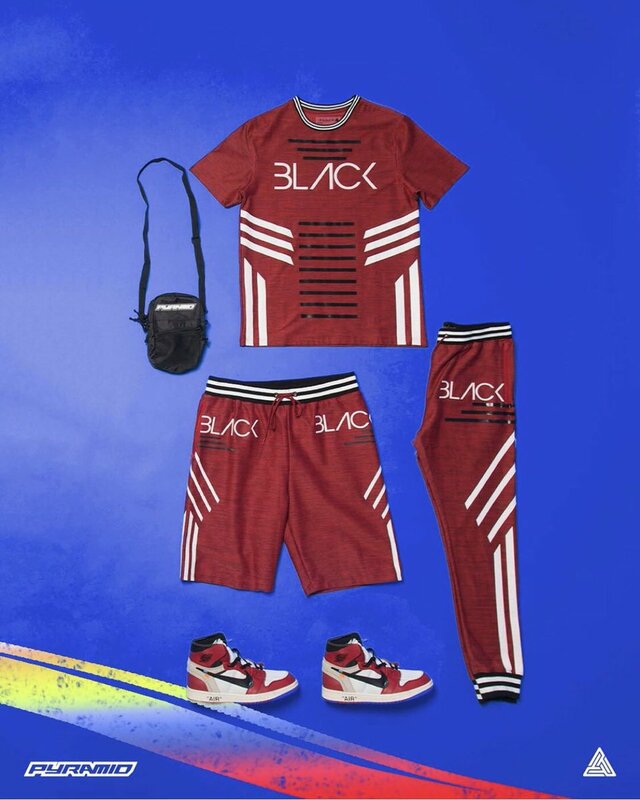 The R&B singer, ever-popular with police, was cuffed outside the W Hotel on K Street, where he allegedly threw an unprovoked punch at random guy, hurling homophobia slurs at him whilst engaging in the potentially unwarranted attack. 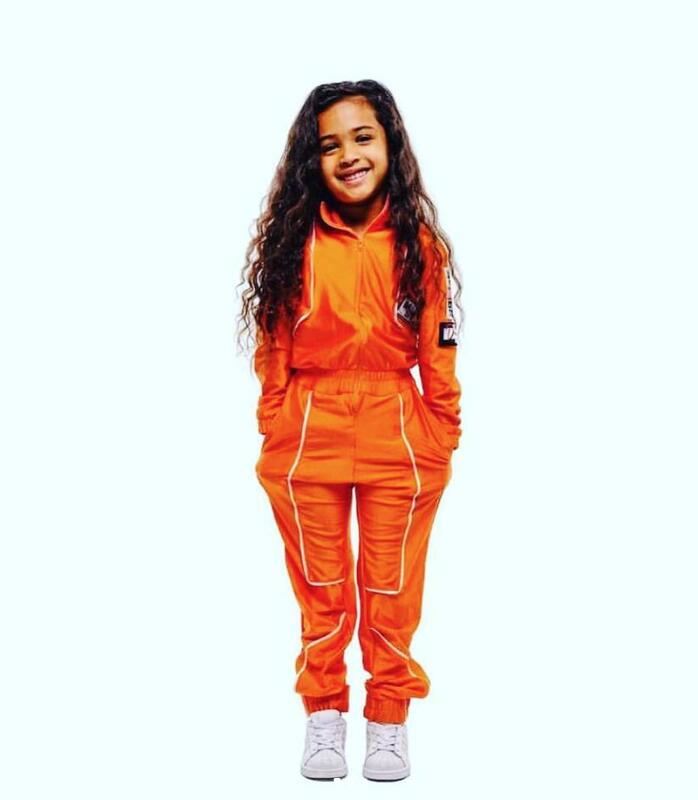 According to TMZ, who first reported the attack and heard statements form both the victim, law enforcement and Brown's PR team, Brown got into an argument with the guy at around 4.30 am outside his hotel, with the victim never once provoking Brown with violence or even retaliating after the punch was thrown. 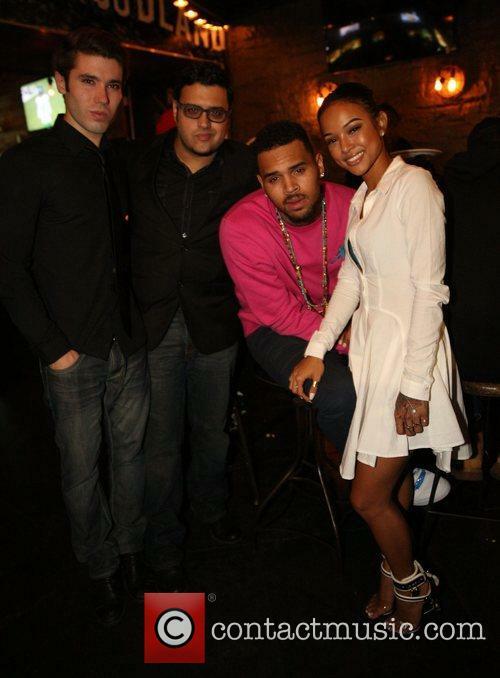 According to the guy who was hit, Brown was posing for a photo with two women, and he and his friend decided to photobomb the picture, prompting Chris to react violently. He never did seem like the kind of guy who has a sense of humour. 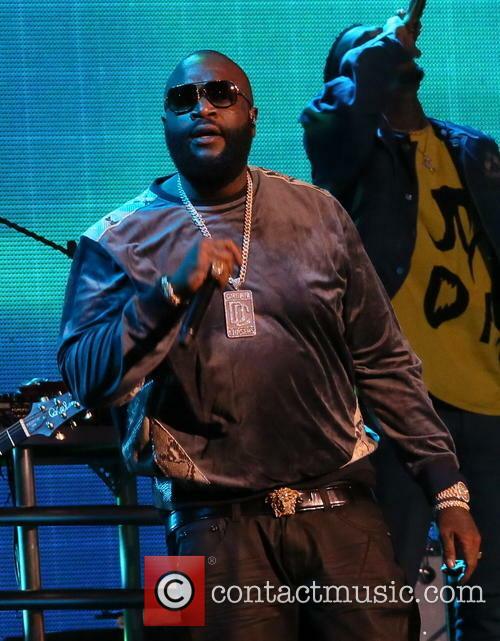 Continue reading: Guess Who Got Arrested Again? 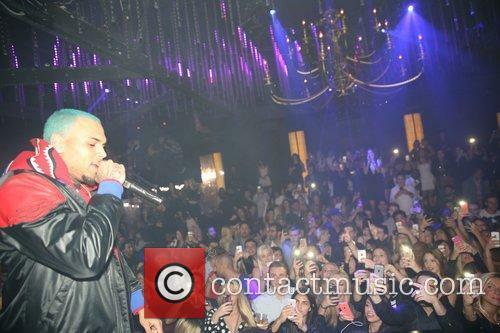 That's Right, It's Chris Brown! Is this the worst lie ever or are the people of Tappahannock some kind of genetically-modified, prematurely developed sexual fiends? 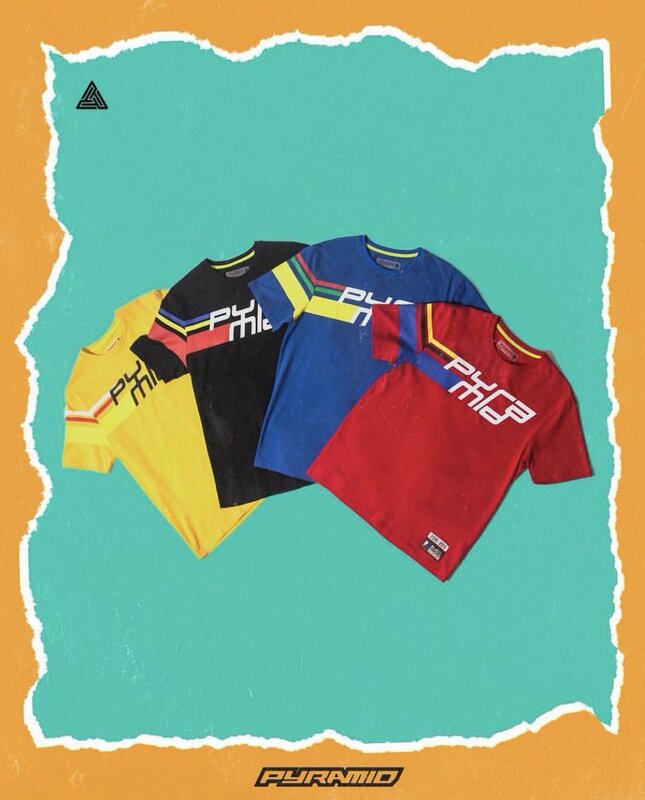 Chris Brown rarely does himself any favours when he makes a public statement of any kind, but rather than whipping up a load of bad press for himself, this time he has just left us scratching our heads. 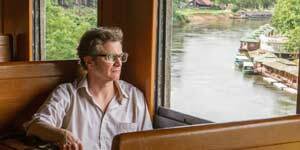 The singer claims to have lost his virginity at the tender age of 8-years-old, stating in an interview with The Guardian that he and those he knew back in his hometown of Tappahannock, Virginia were much more open to sexual experimentation and at a much (much, much) younger age than anywhere else in America. "It's different in the country. 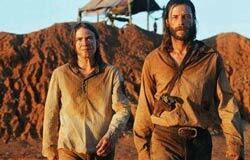 By that point, we were already kind of like hot to trot, you know what I'm saying?" He stated in the interview. He continued, "Like, girls, we weren't afraid to talk to them; I wasn't afraid. So, at eight, being able to do it, it kind of preps you for the long run, so you can be a beast at it. You can be the best at it." Chris Brown discusses losing his virginity, the infamous Rihanna assault and his future aspirations in new interview. 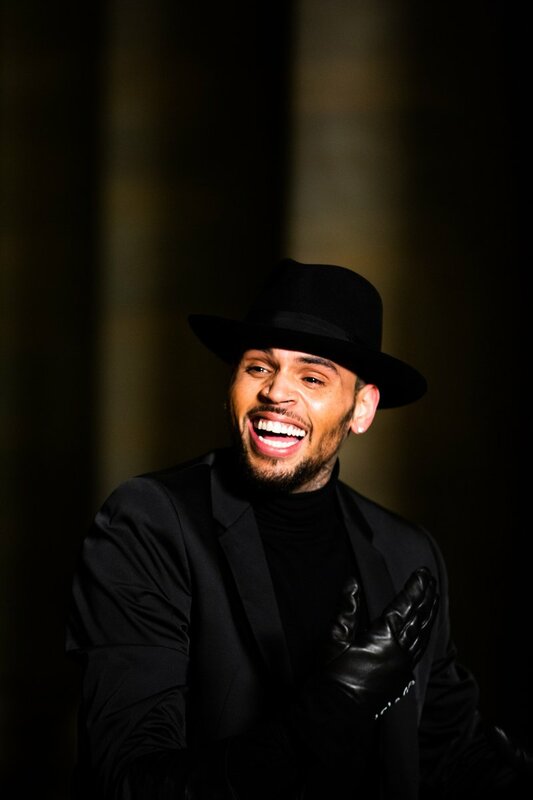 Chris Brown recently sat down with The Guardian and discussed several personal topics including losing his virginity at a young age, beating on ex-girlfriend Rihanna, and his latest community service 'compromise'. The 24 year-old made the shocking confession of losing his virginity at the tender age of 8 and even more astounding, he feels there is nothing wrong being sexually active so young. Yet more trouble for Breezy. 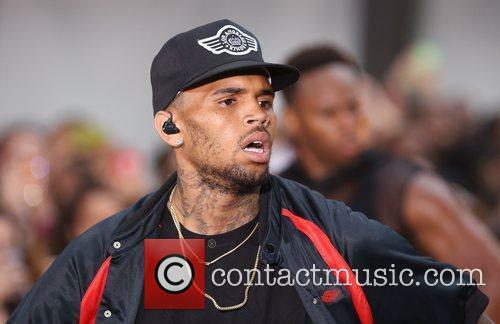 Just as Chris Brown’s probation was running out, the term has been extended. The singer is required to serve an additional 1000 hours of community service, added to the original sentence he received in 2009 for assaulting his then girlfriend, Rihanna. The sentence was extended due to procecutors’ accusations that Brown failed to properly report his original 1440 hours of community labor. Brown's court visits have attracted more attention than his music of late. In July, Brown’s five-year probation was revoked, after he was called into court on a misdemeanor hit-and-run. 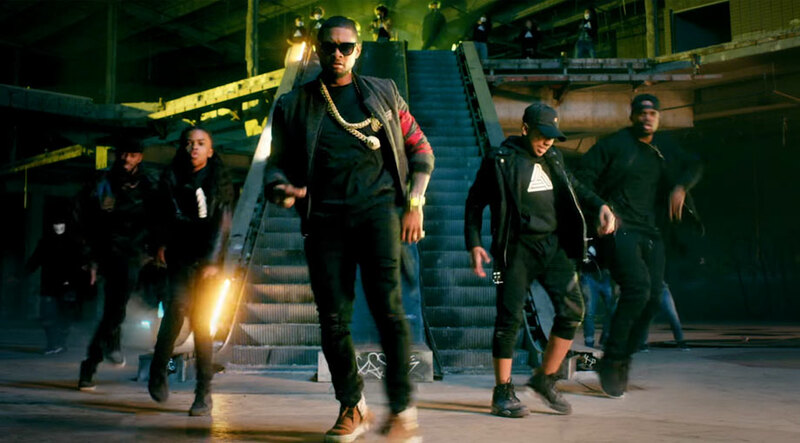 While the charges were dropped, this caused the court to reexamine the singer’s probation. On Friday, judge James Brandlin reinstated the probation. Sentencing Brown to the additional 1000 hours or 125 days, which he will be required to serve by Aug. 25, 2014, the L.A. Times reports. 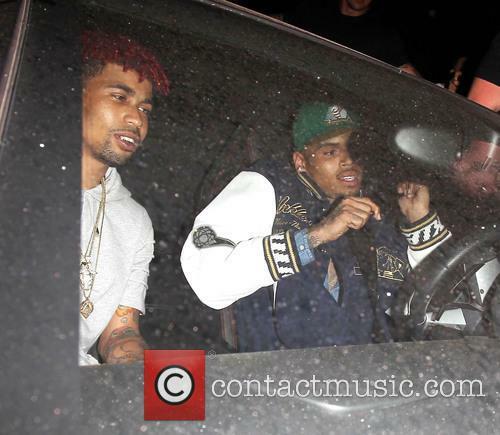 Chris Brown will be working the highways. If Chris Brown thought he was out of the woods with regards to his legal problems, than he was very, very wrong. 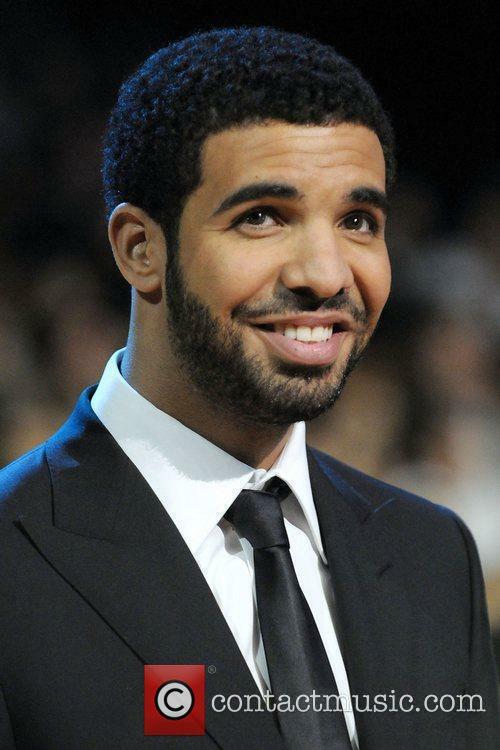 On Friday (August 16, 2013), his probation was reinstated and he was given a new sentence to perform 1,000 hours of community labor, reports Billboard. Brown didn't speak during Friday's hearing, other than to agree to the deal worked out in the judge's chambers while he waited in the courtroom. He was ordered to perform tasks such as highway work and graffiti removal. Brown has been dealing with a series of legal problems for years. 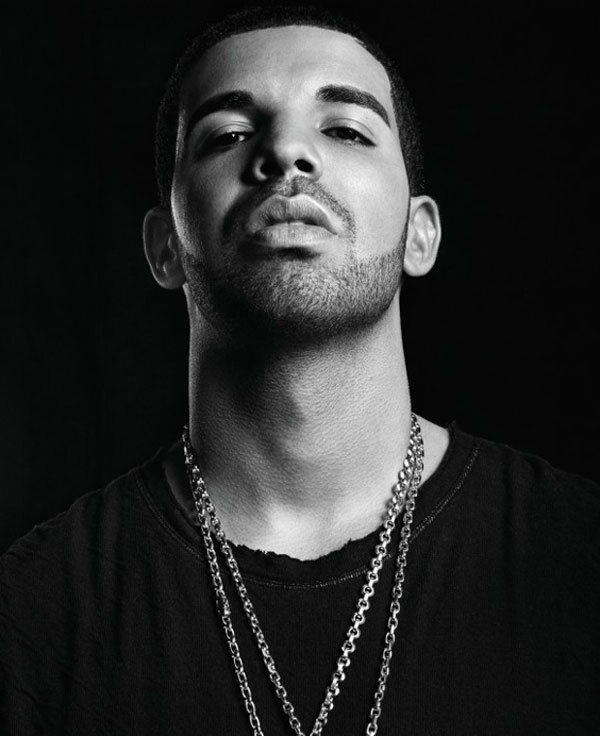 In 2009, he was arrested for assaulting his then-girlfriend Rihanna and was first placed on probation. Since then, there's been various run-ins with the law including charges for assault and traffic accidents. 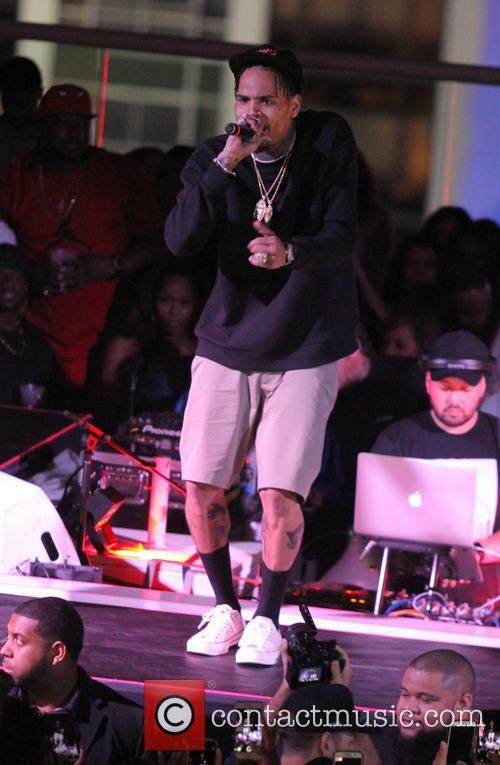 Chris Brown Sued, By Frank Ocean's Cousin, Over January Brawl. Got That? The relative of the Odd Future singer claims that Brown's bodyguard beat him up during a brawl between the two stars earlier this year. 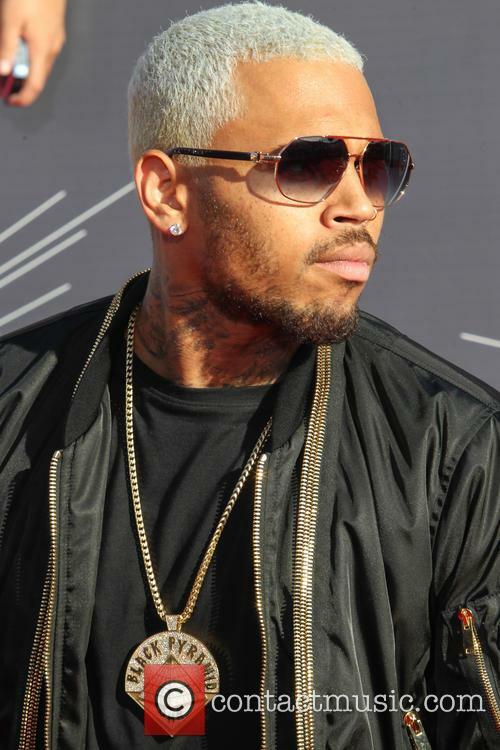 Looks like another legal headache for Chris Brown is on it's way, as the singer is being sued by the cousin of R&B star Frank Ocean, who claims that the 'Don't Wake Me Up' singer's bodyguard beat him to a pulp during a confrontation between the two stars earlier this year. 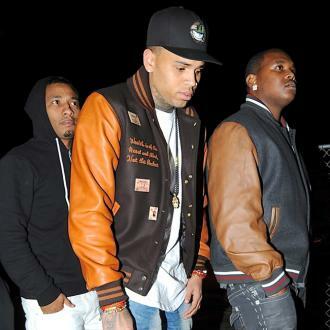 The attack in question happened in January this year, in which the two singers and their entourages came to blows over a parking spot at a LA recording studio, during which Brown allegedly threw homophobic slurs at Ocean and threatened to shoot him (although it is still unclear who started the brawl). Frank's cousin Sha'Keir Duarte has now revisited the unpleasant incident saying that he was severely injured during the brawl, claiming that Brown's hired protection, a man who goes by the name of 'Hood,' pulverised him during the attack. Duarte goes on to state that Hood repeatedly punched and kicked him, continuing his brutal attack even when he fell to the ground. In all, Durate reckons he suffered at least twelve kicks to the body and several to the head whilst he was on the floor, having sustained a number of blows prior to collapsing to the floor. 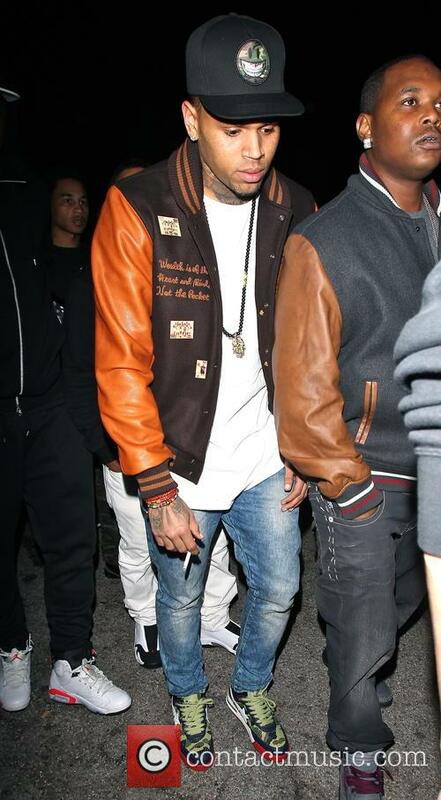 Continue reading: Chris Brown Sued, By Frank Ocean's Cousin, Over January Brawl. Got That?